Read on for lovely looks, perfectly paired paradoxes, and awesome alliteration. I don’t know about yours, but my Instagram feed has been blowing up with outfits that marry leather and lace, silk and knitwear, suede and satin – all in perfect harmony. This post is dedicated to creating some inspiration for mixing media in your own outfits that are under $100 total. This first outfit is great for a chill night in. I paired this silky lace cami with the cozy texture of a gray knit cardigan. The contrast between the laid-back cardigan balances out the upscale champagne top. Then, I added these faux leather pants that are stretchy and comfortable, but also sleek. These burgundy booties add a darker splash of color that grounds the pastel look up top. This outfit is perfect for a New Year’s Eve party with the girls! It features this crushed velvet dress in a flirty pink tone which adds a lot of depth to the look. Then pull on these black over-the-knee boots that balance the dress in the outfit. 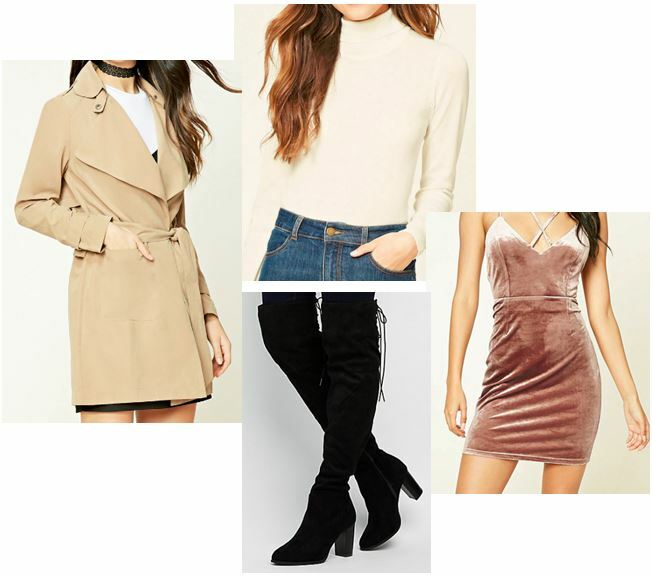 Add a sleek cropped turtleneck for some warmth and a classic trench coat to pull the outfit together! This look is edgier and still incorporates a lot of different materials for an awesome get-up. I chose this turtleneck sweater that has a white blouse peeking out under the hem to add interest. I added this leather moto jacket to counter the soft look of the fuzzy top and instantly add a cool vibe. 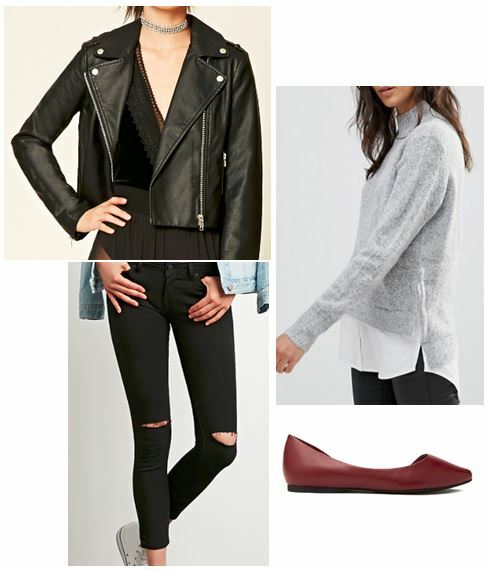 I finished the look with ripped jeans and maroon cutout flats. How do you mix and match media? Which is your favorite outfit? Let me know in the comments below!